Home Gadgets Kisai Satellite X Wood LED Watch from Tokyoflash Japan Unveiled! 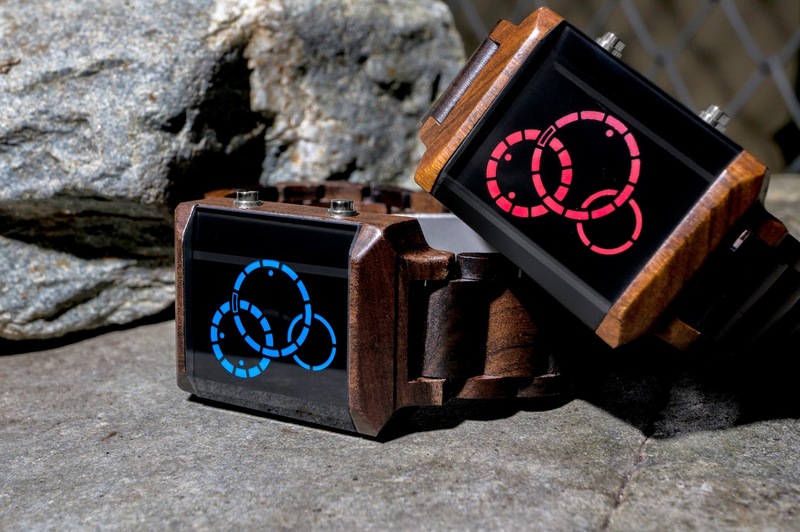 Kisai Satellite X Wood LED Watch from Tokyoflash Japan Unveiled! Tokyoflash Japan has just released the limited edition Kisai Satellite X Wood. Three vivid halos of light behind a dark mineral crystal lens, Kisai Satellite-X Wood is an LED watch housed in a custom designed natural wood case. USB rechargeable, the design shows the time through three interlocking rings of LEDs. Contrasting against the dark mineral crystal lens, the natural wood case and strap take on different appearances depending on the light. In the sun, the wood grain really stands out. The links that make up the strap are individually made so the strap can be adjusted like a normal watch to fit your wrist perfectly. Like all watches from Tokyoflash Japan, Satellite X Wood is a limited edition design which means that it is guaranteed to be an original watch that not many other people own. The Satellite X Wood is available at the special release price of $99 (around Php4,400).